Welcome to the 2016 International ThymUS Meeting. 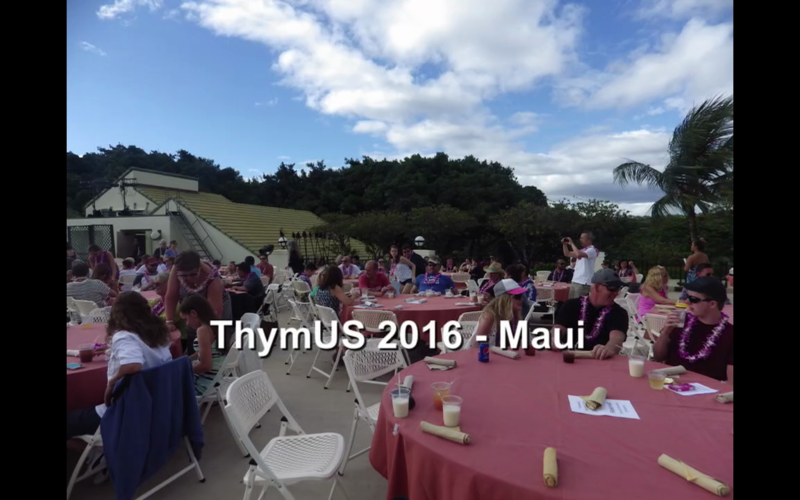 We hope you enjoyed this year's ThymUS 2016 meeting in Maui. It was fantastic to see everyone again and welcome some new faces. There will be a short survey coming your way in the next few weeks to get your feedback on the meeting and location to assist with planning the next meeting in four years' time. The ThymUS Meeting 2016 is part of the Global Thymus Network conference series (alternating with Kyoto T Cell Conference, ThymOz, and the Venice Thymus meeting). The 2016 ThymUS meeting was held from June 5th to June 9th 2016 at the Wailea Beach Marriott Resort and Spa on the beautiful island of Maui in Hawaii, USA. The ThymUS meeting continued to follow ThymOz format, i.e. the program was assembled entirely from submitted abstracts. In order to keep participation of students and postdocs as affordable as possible, session speakers were chosen entirely from submitted abstracts. Two Keynote Speakers were invited to the meeting: Diane Mathis (Harvard University) and Janko Nikolich-Zugich (University of Arizona). You can download the meeting flyer to share with your colleagues. Immediately following ThymUS 2016 was the Agonox T-cell based immunotherapy meeting. More information about the Agonox meeting can be found here.